While HTC's One V smartphone was already confirmed to make its way to U.S. carriers, exactly which one remained a bit of a mystery until today. Virgin Mobile finally stole that spotlight, announcing that it will offer the HTC One V without a contract for $199 along with monthly plans starting at $35 per month. The smartphone sports a 1GHz Snapdragon S3 processor, 3.7-inch screen with an 800 x 480 resolution, and Beats Audio. It also features a 5-megapixel back-illuminated camera using HTC's ImageSense chip, capable of capturing still images while taking 720p HD video. It also runs Android's Ice Cream Sandwich OS with HTC's Sense 4 UI overlay. The HTC One V may not live up to its more powerful sibling the One X, but the affordable price makes for an even tradeoff. In TechRadar's review of the One V, we called it a "a smartphone that will help push user expectations of competitively priced handsets to new, ever advancing levels." Back in May, HTC said it would bring One V stateside "through a variety of U.S. partners," and Virgin Mobile's press release says nothing of exclusivity, so more carrier options could be on the way later this summer. 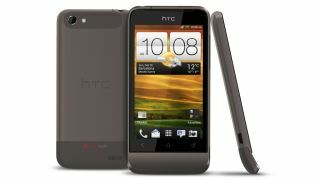 For now though, expect to see the HTC One V show up on Virgin Mobile's website and Best Buy, Radioshack, and Walmart retailers nationwide through July and August.